I cannot leave the house without sunglasses. In fact, I have to have them. My eyes are super sensitive to light, and I even find myself wearing sunglasses when it's raining! With the official start to summer and the sun shining its rays, I'm sure everyone has sunglasses on the brain. 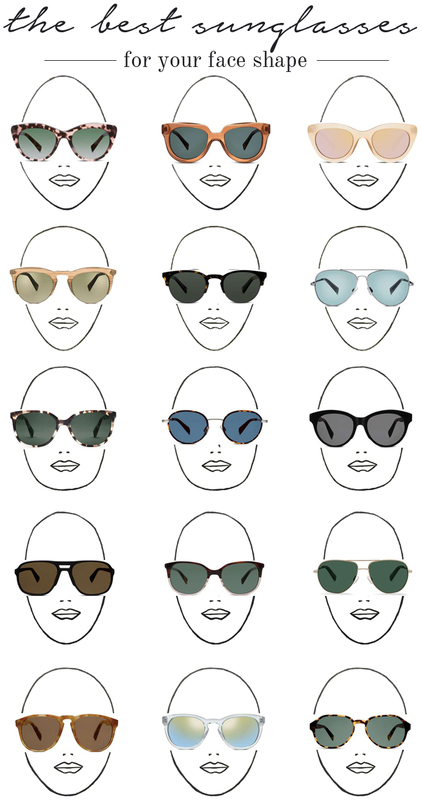 There are tons of options for sunglasses out there, so I wanted to share an easy to understand graphic showing you different sunglasses options for your face shape. Keep in mind your face shape when shopping, and consider that just because sunglasses look great on your BFF, doesn't mean they'll look great on you. I think a good rule of thumb is to find a sunglasses shape that is opposite of your own face shape. So, if your face is round, seek a pair or more square or rectangular sunglasses. Just an easy tip as you get your sunglasses shopping on! All of the sunglasses below are from Warby Parker. Warby Parker has incredible customer service, and even offers a home try-on, so you can choose sunglasses right from the comfort of your own mirror. Atlanta has a few stores, and I know more are popping up in other cities often. 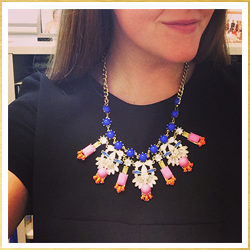 Be on the lookout, or find similar styles at other stores near you.